Enjoying this post? You might also like How to Remove Barriers to Customer Feedback? It’s said that we are all different. But when we are forced to act in a similar manner (buy a product), our thought process turns out to be quite predictable. According to Gallup, being customer-centric means keeping customers engaged. This phenomenon explains that many businesses are at a risk of failing, and not because of their product or pricing. But for another reason entirely: They’re not on the customer’s radar. One way of getting customers to notice is through behaviors and words that get them to take action. 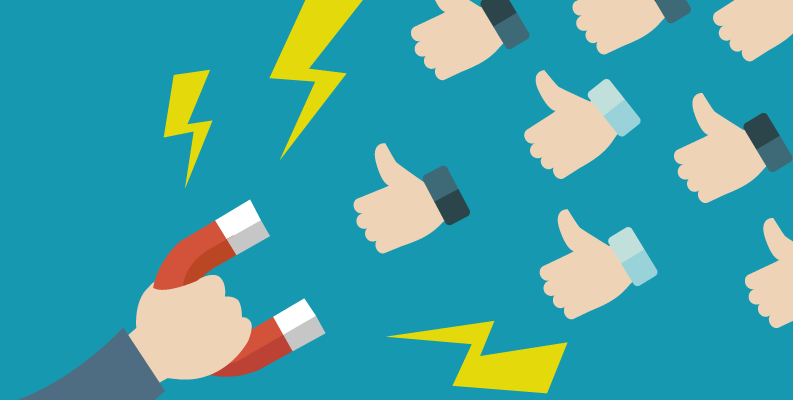 In this post, we’ll share some of the ways to use these tactics to attract customers. We fear change, at the same time we don’t want to miss out on killer opportunities. We want something when it’s rare or scarce, but we also want reassurance that it’s worth our time and money. If we aren’t given instructions on how to act when constrained by urgency, negative feelings can emerge. Customers that don’t receive a plan to take action end up thinking “so what” or justifying their inaction with “this doesn’t relate to me”. We published a post earlier that talks about customer behavior and loyalty, especially in the context of urgency. It could also help you in correctly approaching your content, email and marketing materials. Customer behavior research claims that buying something isn’t exactly “pleasurable” for most people. It’s associated with anxiety, stress and doubt, especially for those who don’t spend much or like to weigh their options before buying. In addition, most businesses have perfected to the ability to maximize value using the psychology of pricing. Consider paying $1000 per year for something. Now consider paying $999. Still, it seems a lot more than paying $84 a month. Lastly, don’t dismiss the idea of upselling and bundling. In any competitive market, starting out is difficult because you must build a customer base while still attempting to turn a profit. This isn’t easy. It costs time, resources, and definitely isn’t very scalable over long term. This is something we actually applied when developing our help desk software. Every conversation with a lead or potential customer began with trying to understand their problem. If we could, we tried to solve it – even if it meant no sale at the end of the day. Honesty isn’t just being honest with your customers. It’s about being honest with yourself. Control and accountability goes hand in hand, so admitting to errors and mistakes help customers understand that you are in control. Don’t be afraid to use internal labels to classify customers, their behavior and what they mean to your brand. We all have different value systems, what we hold dear and what we hope to accomplish. Segmenting your loyal customers is a great way to establish long-lasting customer relationships. 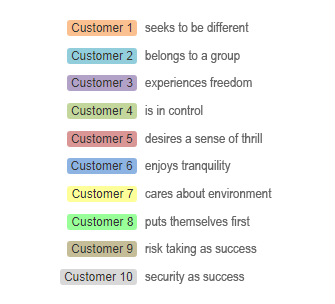 What do your customers want to begin with? Are there accounts at a risk of churn? Info – When you need to inform of something, no response or action required. Coord – When you need coordination with your teammate. Approve – When you need your teammate’s permission or approval. Action – When your teammate needs to take some action. The key for success in sales is to build a valuable product, that the customer wants, and therefore will buy. Managing product development, issue tracking and feature requests can burden – especially if the customer (plus the product team) is not on the same page. Meaning, companies that listen to users and incorporate their feedback have a much greater chance of success. Companies that do all of that before sinking resources into writing code or building prototypes have a much higher chance of building something that will sell. And less chances of making mistakes along the way. Customers are getting overloaded with various chat, email options, notification systems and the like. Oftentimes, users can complicate the situation themselves. This means that critical messages often get lost in the mix. The solution? Inspire employees to make their own decisions according to situation. Organizations that rely on a number of systems have their customer information spread far and wide. As a result, companies are attracted to centralized customer platforms that can offer a better support experience. In the end, the customer experience ends up suffering. Most businesses that experience rapid growth are forced to keep going on the same trajectory. But being able to manage production, workflow and quality control at a larger scale is difficult when your team remains the same. Fortunately, there are many ways you can grow in a difficult environment, among numerous obstacles and constraints.